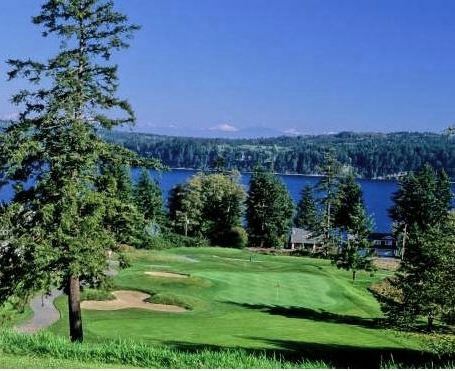 Camaloch Golf Club is a Public 18 hole golf course located in Camano Island, Washington. 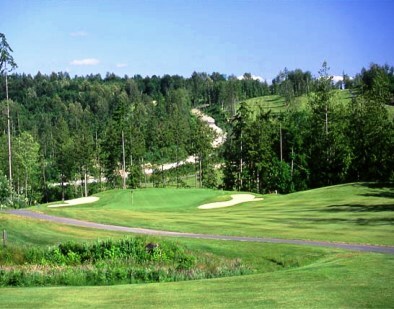 Camaloch Golf Club opened 9-holes to play in 1972. The Camaloch Association development began in 1967. Originally promoted as an easy commute from the Seattle/Everett area for a weekend getaway, the 466 lots with the amenities of water service, two swimming pools and a 9-acre lake for fishing sold quickly. 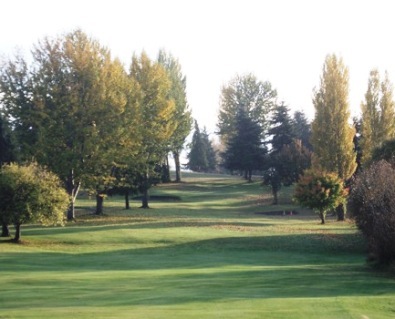 In the late 60's, the membership decided to build a 9-hole golf course with some undeveloped acreage it had. 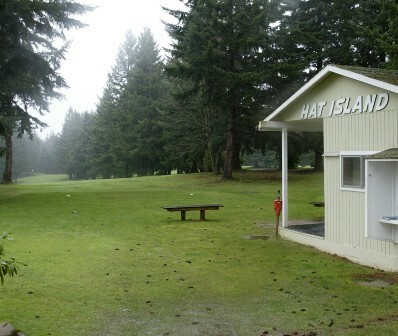 This original 9-holes was built with mostly volunteer help from its membership. Volunteers worked long hours clearing brush, trees and picking up rocks. 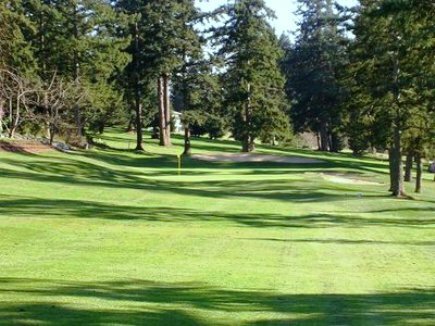 Opening in 1972, the 9-hole course was well received by golfers in the area, known as a decent 9-hole layout by most who had played it. 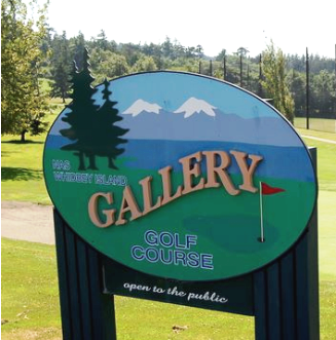 In the late 1980's, the membership acquired the additional acreage needed to add a second 9-holes, which (designed by Bill Overdorf) opened in 1991. Par for the course is 72. From the back tees the course plays to 6,234 yards. From the forward tees the course measures 5,223 yards. The longest hole on the course is # 6, a par-5 that plays to 497 yards. The shortest hole on the course is # 11, a par-3 that plays to 156 yards from the back tees. Watch out for # 5, a 420 yard par-4 challenge and the #1 handicap hole on the course. 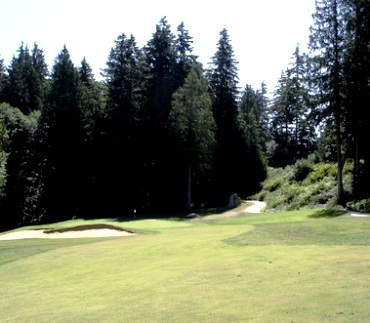 The easiest hole at Camaloch Golf Club is # 11, the 156 yard par-3. Camaloch now has 5 sets of tees, with the forward tees suited for those new to the game, or shorter hitters. The par 5's are reachable in the summer and fall for many mid-teen and better handicappers, but the winter spring will find longer grass, wetter conditions, making them play 3 shots in for most. The green are receptive and in great condition any time of year. During winter months when carts are restricted to paths, they offer par 3 tourneys where the have the tees next to the path and play takes about 3 hours. 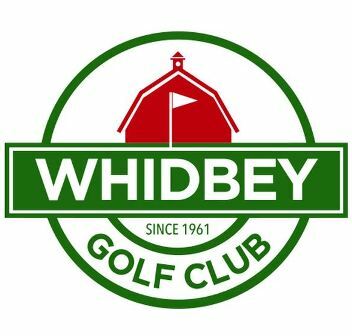 Great for fun winter golf with some competition. Multiple divisions depending how many players they have.